The European Presidency’s largest conference, Euro Nano Forum 2013, was organised by Conference Partners which attracted over 1,500 delegates and 140 speakers. This three day conference showcased ground-breaking innovations, nanotechnology developments, commercialisation success stories and the commercial and social importance of Nanotechnology throughout Europe. 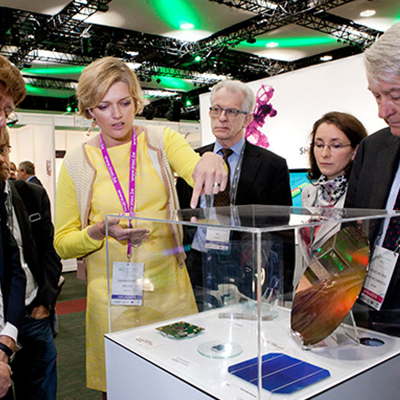 The exhibition hosted 70 innovative organisations from 20 countries including Austria, the UK, Germany, Denmark, Finland, France, the Czech Republic, Switzerland and the Netherlands showcasing their ground-breaking innovations. One of the highlights at the conference was a video message by U2’s guitarist, David Howell Evans, better known as “The Edge”, to all delegates asking them to live the dreams to change the world for the better in the world of science.